We help Raleigh area car owners prolong the life of their cars by providing expert safety & maintenance services performed by ASE certified automotive specialists. Car owners all throughout the Raleigh area consider Autohaus their trusted alternative to the dealership. Doug Rogers has lived in the Raleigh area since 1972. He began his automotive career in 1978, and worked 24 years as a steering/suspension and ride quality specialist at the dealership level. 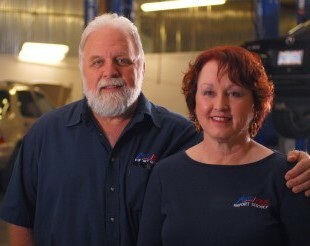 He opened Autohaus Import Service in 2002, with the goal of offering top-notch repair capabilities, as well as the personal touch missing at the large repair shops. He currently lives in the Clayton area with his wife of 30 years, Donna, and way too many dogs. When time permits, he enjoys relaxing in the mountains of Carroll Co., Va.
Doug is a certified judge on the Memphis BBQ Network circuit. That's right, folks, on weekends he has been known to travel several hours to eat and judge the efforts of professional BBQ teams. He particularly enjoys the "eating" part of the job! 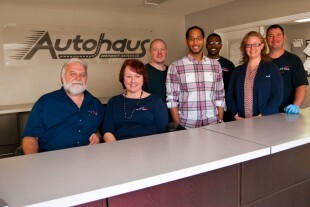 Donna Rogers handles all the bookkeeping (and MUCH more) for Autohaus. With thirty years in the automotive field, Donna has dealt with dealer warranty, training service advisors, worked in the service department, handled customer relations, and was CFO at an Infiniti dealership for 6 years. Donna is an avid gardener, and a great friend to many. Donna’s special gifts include interior decorating (check out our new customer waiting area! ), and entertaining. Donna spends every Tuesday morning preparing a home cooked meal for the weekly staff meeting. On the rare occasion she is unable to do this, our staff immediately demands the meeting be rescheduled for later in the week! In fact, we are considering adding "Donna's Tuesday Lunch" to the list of employee benefits at Autohaus.